Princess Allura of the planet Arus is the ruler of the Kingdom of Altair, as well as de facto ruler of the entire planet, and is also the object of Lotor's affections. Daughter of the late King Alfor, Allura inherited her father's authority on his death and is commander in chief and head of state for the planet Arus, and thus Commander Keith's surperior. 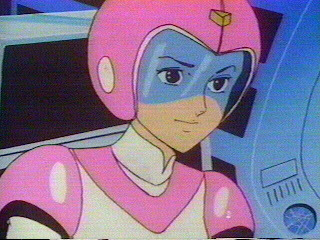 However later she takes over for Sven as the pilot of the Blue Lion that forms Voltron's right leg, and defers to Keith during operational engagements. 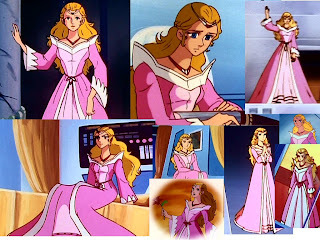 Allura wears a pink uniform in the original series, Though a bit naïve, especially with matters of romance, Allura is a strong-willed person, and is very capable of ruling her planet, though some like Coran and Nanny tend to doubt this ability. She is capable of invoking the dead, particularly her father, the late King Alfor. to be determined and fight their hardest for the freadoms of everyone in the Galaxy! 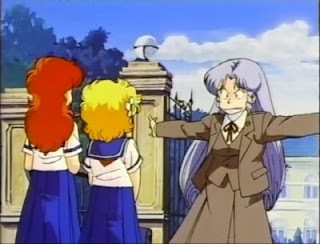 This Anime is a crazy classic, its about 2 Girls who work hard for echother and had finaly hit it rich and own their own home... when Suddenly a Space craft crashes and a baby girl arives, and then suddenly the space pirate captives need the escaped baby girl for ransom and destroy the house and fly off. 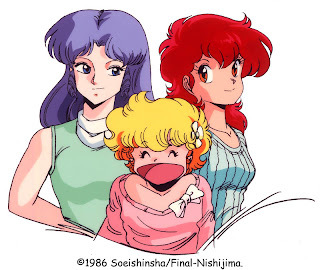 the only way the girls can regain their home and fortune is to get revenge on the space pirates and get the reward for rescuing the baby Girl! this anime is full of lots of action and very wacky entertaining Humor! 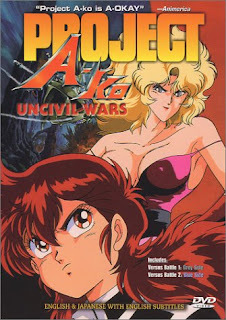 its a Pure anime classic from 1986! and a must see for any true anime fan! As an added bonus i even Hunted Down a Japanese trailer! 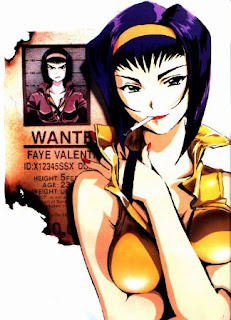 Faye Valentine is a bounty huntress. Her entire past is veiled in mystery; her age and place of birth are unknown or unclear. An alluring figure, good looks, and an unstoppable mouth are her greatest weapons. She is an audacious and fearless egotist; utterly pragmatic, she is pushy and resilient no matter what the situation. Gambling is her hobby; cheating her speciality. In a world where money is everything, she has no scruples about doing whatever it takes to get by. Faye gives free reign to her desires and doesn't let particulars bother her. She freely divulges that she has a massive debt -- one which is into astronomical figures. Faye is an indomitable figure, on occasions taking an aggressive or threatening attitude, who tries to get a lot of enjoyment out of life. She is also a capable markswoman. The body of her spaceship, Red Tail, a model used for military patrols and by various planetary law-enforcement forces, is fully-outfitted with an array of weapons. 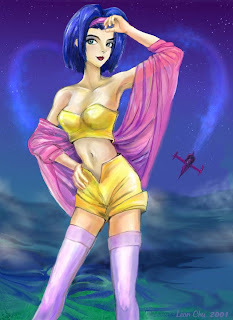 A lady far too hot to handle, even her innocent, almost child-like smile can appear palpably dangerous on occasion. There are also times, however, when she reveals a lonesome aspect to her character, as she searches for her unknown past, a past that money cannot buy. 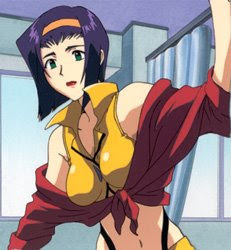 Faye Valentine is one of the great carecters and side story lines to the Great anime Series Cowboy Bebop, a troubled Damsel from our time, revived with a debt so gigantic, that the banks just want her dead, she relegates her life to bounty hunting to fight off anyone after her, and sees it as her only way to obtain the amount of money she would need to pay off her debts. 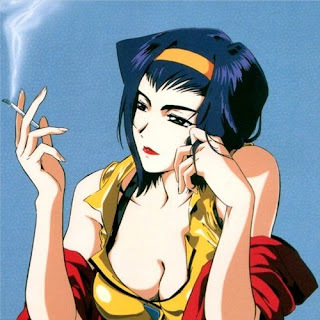 Unexpectedly she finds herself liking and relying of the company on the bebop as she finds herself and her hidden past.